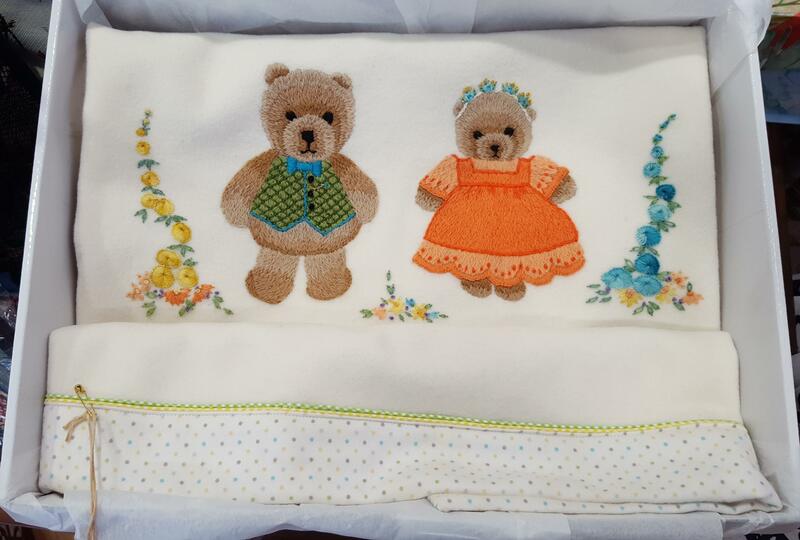 This charming blanket is embroidered with two delightful bears in their spring garden. 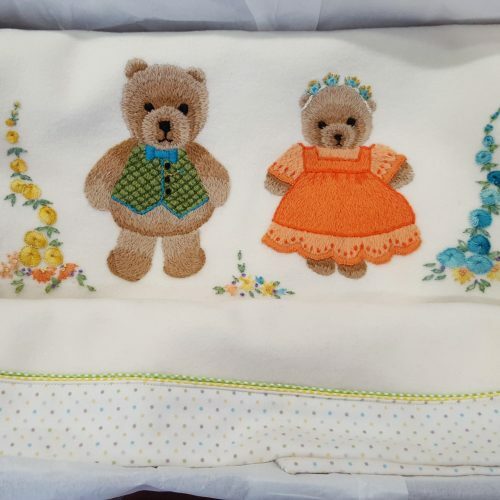 On an ivory wool cashmere blanket, backed with flannelette spots, and finished with two rows of check piping; there is no detail overlooked on this beautiful baby blanket. 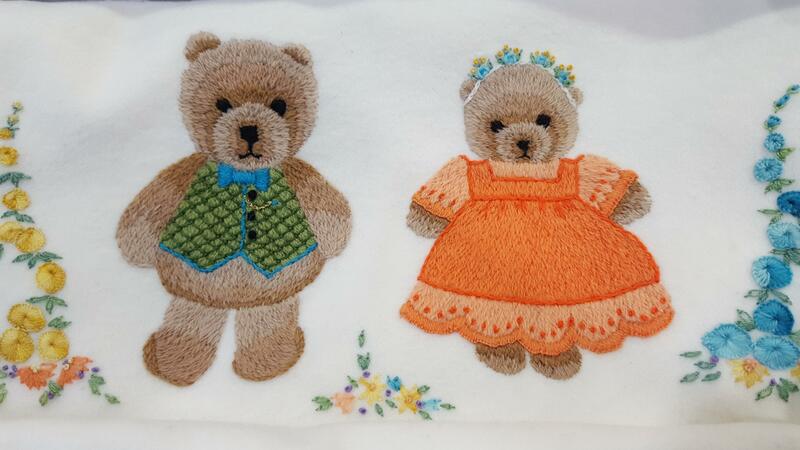 Perfect for a little boy or a girl, this hand stitched wool cashmere blanket measures 102 cm long and 76 cm wide.